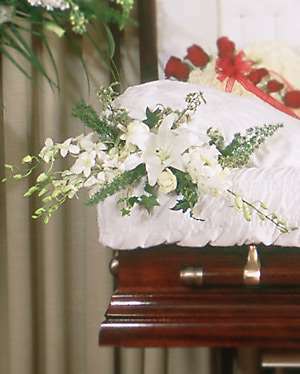 Accenting the casket with white orchids and flowers can be lasting memorial the service needs. Approx. H 12" X W 10"